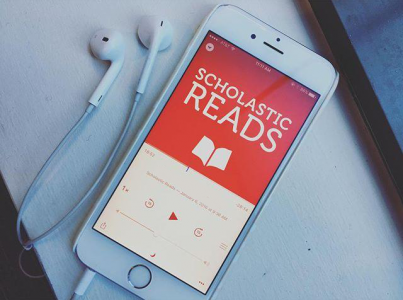 Did you know that Scholastic has a podcast? It’s produced in our headquarters in New York and focuses on children’s and young adult literature, and is hosted by Suzanne McCabe, one of Scholastic’s editors. In 2016 it featured interviews with popular authors such as DaPilkey (Captain Underpants), Ann M. Martin (The Babysitters Club series), and Sonia Manzano (author of Becoming Maria and a Sesame Street cast member). Each episode focuses on a different aspect of reading and the impact it has on our lives. You can visit www.scholasticreads.com to find all the episodes or subscribe via the iTunes Store. You can also follow Suzanne on Twitter at @SuzanneMcCabe1 to keep updated on the latest episodes.